Has Sheerlyn Gerasta’s Husband Found a New OFW to Love? For weeks, netizens followed the story of overseas Filipino worker (OFW) Sheerlyn Gerasta who chose her engineer lover in Saudi over her tricycle driver husband, Charlie Lozada, and their five children. Everyone took pity on Charlie, slamming his OFW wife for turning away from her family and leaving the five children without a mother. Many also praised Charlie for remaining in love with his wife and still trying to court her up to the last moment they were together, despite the fact that she continues to communicate with her lover in Saudi. 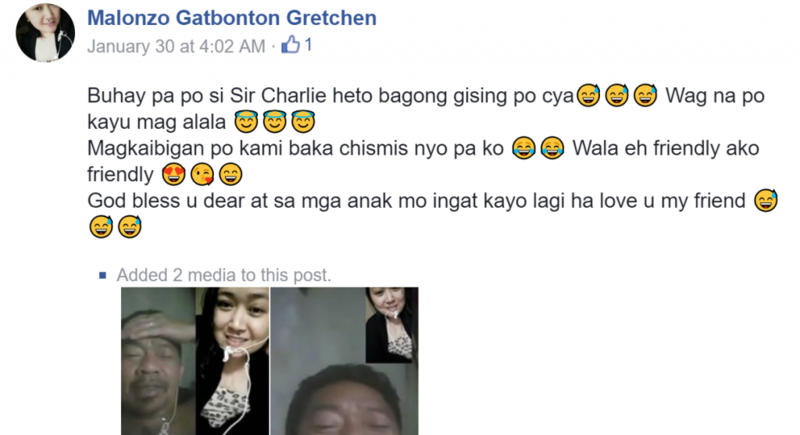 Recently, Kwentong OFW shared news of Charlie’s rumored new love, also an OFW in Saudi Arabia. 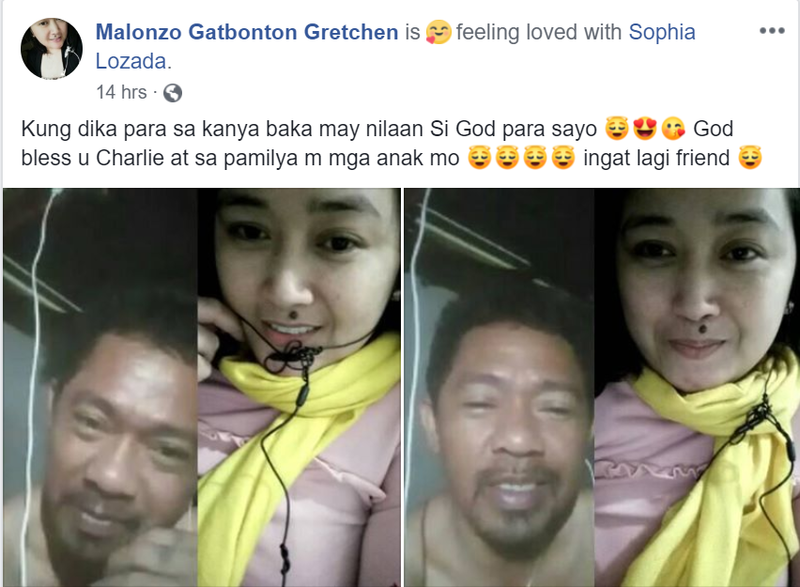 The woman who goes by the name Gretchen Gatbonbon Malonzo on Facebook shared a number of screenshots of her video call sessions with Charlie and his daughter, Sophia. 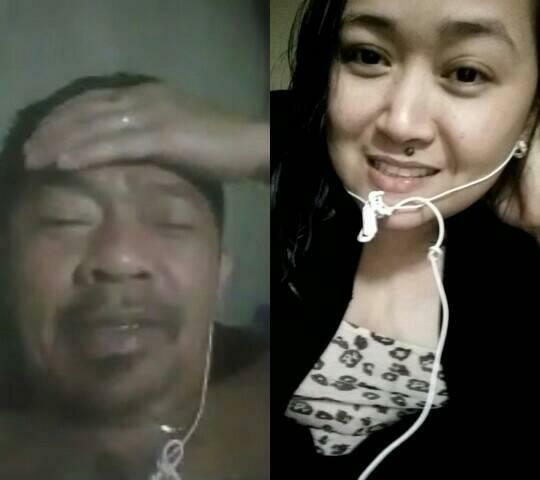 It was soon obvious on the OFW’s posts that the two have been making video calls often, even when Charlie had just woken up or was busy as he prepares to take his kids to school. The woman pointed that they are just friends, but the tone of her posts seemed to hint at something deeper. Netizens couldn’t help but point out that she’s been saying “I love you as a friend” to Charlie – the exact words his wife had used when referring to her engineer lover! But as the days passed, Gretchen now hints that she has feelings for Charlie. “Kaya Bossing forgive and forget okay  Pag bumalik cya ok lakaw nako [alis na ako] ,” Gretchen wrote in one of the posts wherein she shared their photos while making a video call. She’s obviously referring to Charlie’s wife who might think of coming back. While many netizens were glad that Charlie seems to have found a new love, others cautioned him against trusting so easily. After all, this woman is also an OFW like his wife and she might only be riding with the issue for fame or for money, especially because Raffy Tulfo had given him Php100,000 and a kind viewer gave him a tricycle.